A trust deficit Three military chiefs’ joint memorandum to defence minister on pay commission report sends disquieting signals. The public debate over the recommendations of the Seventh Pay Commission report has focused on its financial implications and likely impact on the government’s fiscal deficit target. Little attention has been paid to the issues raised by various Central government services affected by these recommendations. As per procedure, their concerns are considered by a committee of secretaries under the cabinet secretary, which sends the recommendations to the Union cabinet for approval. This method has worked well so far, as it doesn’t deal with the substantive questions or allege an inherent bias in the deliberations of the pay commission. 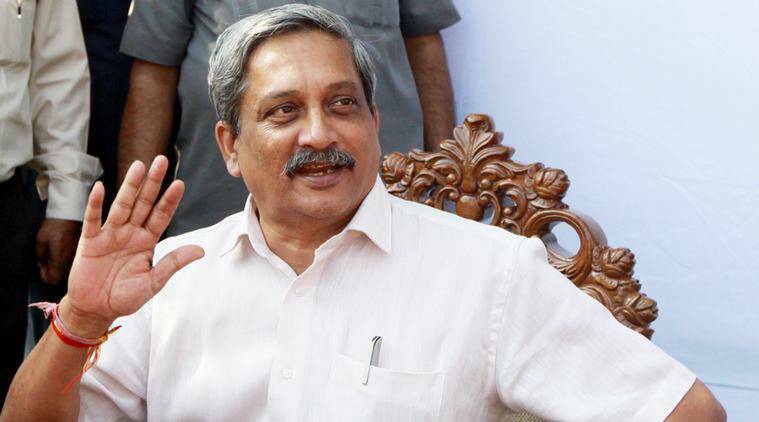 Now, by writing a joint memorandum to the defence minister over the pay commission recommendations, however, the three military chiefs have taken the controversy to a different — and disquieting — level. Not only is it extremely rare for the three chiefs to jointly sign a memorandum — the seniormost service chief usually signs tri-service letters as the chairman of the Chiefs of Staff Committee — but also the issues raised by them point to a complete lack of trust in the commission’s recommendations. The defence services believe that their joint presentations to the pay commission, unlike those made by civilian employees, have been dismissed without even being included in the report. A downgrade of the status of military officers vis-a-vis their civilian counterparts, fixation of hardship allowances at lower rates, and denial of a real non-functional upgrade have been identified by the service headquarters as issues that emanate from the allegedly anti-military bias of the pay commission. Speculation is rife about the defence deals likely to be signed during Prime Minister Modi’s visit to Moscow. The front runners are S-400 ‘Triumf’ air defence systems, Ka-226 ‘Kamov’ helicopters, and Grigorovich-class stealth frigates. The lease of a second nuclear-powered attack submarine is also believed to be on the cards. Considering that the Defence Acquisition Council (DAC) had accorded Acceptance of Necessity (AoN) for the procurement of five air defence systems only a few days back, it will be a great feat if the actual contract gets signed during the visit. This also applies to some of the other deals that are expected to be struck during the visit. Quite frankly, it matters little whether the two sides sign contracts or MoUs during the visit. What really matters is the fact that the two countries are in serious talks with each other for defence purchases that are estimated to be worth around USD 10 billion. At a time when bilateral defence trade seemed to be traversing a slippery ground this turn of events should be reassuring for both countries. Russia has been miffed by India diversifying its sources of supply of military hardware. That the United States has emerged as the largest supplier of arms and equipment to India could not have gone unnoticed in Russia, just as Russia’s reaching out to China and Pakistan with significant defence deals has not gone unnoticed in India. Rightly or wrongly, the relationship seemed to be freezing, if not sliding down, for a long time. The then Russian envoy’s statement that “Rafale can be shot down like mosquitoes by the Chinese-made Sukhoi” following Russia’s elimination from the now-aborted Medium Multi-role Combat Aircraft (MMRCA) acquisition programme was a clear indication of where bilateral relations were headed. They were defeated by Ghazni, Ghuri, Khilji, Babur, Akbar, the Marathas and the British. The home minister, Rajnath Singh, wishes our school textbooks told us more about the Rajput king Rana Pratap, and less about the Mughal emperor Akbar. I, on the other hand, wish they explained why Rajputs fared so miserably on the battlefield. A thousand years ago, Rajput kings ruled much of North India. Then they lost to Ghazni, lost to Ghuri, lost to Khilji, lost to Babur, lost to Akbar, lost to the Marathas, and keeled over before the British. The Marathas and Brits hardly count since the Rajputs were a spent force by the time Akbar was done with them. Having been confined to an arid part of the subcontinent by the early Sultans, they were reduced to vassals by the Mughals. The three most famous Rajput heroes not only took a beating in crucial engagements, but also retreated from the field of battle. Prithviraj Chauhan was captured while bolting and executed after the second battle of Tarain in 1192 CE, while Rana Sanga got away after losing to Babur at Khanua in 1527, as did Rana Pratap after the battle of Haldighati in 1576. To compensate for, or explain away, these debacles, the bards of Rajputana replaced history with legend. It is worth asking, surely, what made Rajputs such specialists in failure. Yet, the question hardly ever comes up. When it does, the usual explanation is that the Rajputs faced Muslim invaders whose fanaticism was their strength. Nothing could be further than the truth. Muslim rulers did use the language of faith to energise their troops, but commitment is only the first step to victory. The Rajputs themselves never lacked commitment, and their courage invariably drew the praise of their enemies. Even a historian as fundamentalist as Badayuni rhapsodised about Rajput valour. Babur wrote that his troops were unnerved, ahead of the Khanua engagement, by the reputed fierceness of Rana Sanga’s forces, their willingness to fight to the death. Let’s cancel out courage and fanaticism as explanations, then, for each side displayed these in equal measure. What remains is discipline, technical and technological prowess, and tactical acumen. In each of these departments, the Rajputs were found wanting. Their opponents, usually Turkic, used a complex battle plan involving up to five different divisions. Fleet, mounted archers would harry opponents at the start, and often make a strategic retreat, inducing their enemy to charge into an ambush. Behind these stood the central division and two flanks. While the centre absorbed the brunt of the enemy’s thrust, the flanks would wheel around to surround and hem in opponents. Finally, there was a reserve that could be pressed into action wherever necessary. Communication channels between divisions were quick and answered to a clear hierarchy that was based largely on merit. Many analysts and commentators now regard India as the fastest growing economy in the world. The decline in the Chinese economy has made India the cynosure. India has to choose between needed reforms now for faster growth or a 'scorched' economy resulting from the Congress's policies analogous to the centuries-old 'scorched earth' tactic of military defence, that denied all local assets to an invading army. India benefited from the collapse in crude oil prices. That has considerably moderated inflation. The import bill has declined sharply. In spite of the decline in the economies of China and Europe, and the consequent fall in our exports, the balance of payments are, after many years, not a worry. The statistical 'jugglery' in estimating the gross domestic product has perhaps added almost 1 per cent to growth figures. Even recognizing this, India's GDP growth is better than of most other countries. Yet, food price inflation has become a burden on the poor. The excessive rains in parts of India (particularly the south) and drought in others (for example, Vidarbha), have caused high prices and, at times, poor availability of pulses, vegetables, fruits, and so on. Rural incomes are adversely affected. There is little growth in the numbers of urban income-earners. While private investment expenditure has risen, it is not of high magnitude. The real estate market is glutted, but developers are holding on to their stocks without reducing prices. In spite of a decline in interest on home loans, there is no rise in demand. Decline in real estate off-take, huge sums locked up in stranded assets in private and public investments in electricity undertakings, and in private investments in other infrastructure, have further weakened the balance sheets of nationalized banks. Public investment has risen and will rise farther as government programmes for roads, railways, ports, metros and other infrastructure get under way. The pay commission bonanza to Central government servants will spread to states. There will be a rise in consumer expenditures (already visible in car sales and bank lending for them). Manufacturing output is rising, but slowly. Wages and employment are unlikely to have shown increases. Thus India is in a relatively sweet spot compared to many other countries. But many legislative and administrative actions are necessary before India can benefit from the situation. Private domestic and foreign investors must actually invest instead of merely stating intentions to do so. Funds availability for investment must increase greatly as must their diversity of sources. Banks need considerable recapitalization. Presently, the banks are an important source for capital investments. Governments (Central and those of the states) must cease to be bottlenecks. Permissions must be accelerated for all government clearances and they must come quickly, together and not over a lengthy period. These include environment and forest clearances, building clearances, pollution clearances, factory clearances, and so on. Industrial development, urbanization, education and skills development are the only ways to reduce the excessive pressure of population on agriculture and rural India, resulting in its poverty. The migration of populations from rural to urban areas must increase even faster. This calls for many actions. Easier acquisition of land for industry is an essential precondition. Land will be required for new urban conglomerations as well. The living and working conditions in urban areas must improve if investors are to come in and bring in new technologies. Presently, Indian cities are filthy, with heaps of garbage, public defecation, clogged drains, potholed roads, unreliable electricity supplies, inefficient public transportation, lack of safety for women, poor quality of education at all levels, with faculty shortages and often of poor quality. Health services are also poor, especially for lower income groups. Social welfare schemes must be streamlined to limit benefits to desired beneficiaries. They must not leak to many others, and also not be stolen by bureaucrats and politicians. Direct bank transfers are an answer and need secure identification of beneficiaries and opening bank accounts for them. India has no large factories with large numbers employed in labour-intensive manufactures like garments and leather. Bangladesh and Sri Lanka have much larger ones. Our limitation is rigid labour laws. They have to become flexible and allow easy expansion and reduction of employees, depending on market conditions (with suitable compensation). These are only some of the areas in which action must be taken by governments at the Union, state and local municipal levels. People's attitudes to work, accountability, bribery and corruption, and habits like public defecation, must also change. Only then can we take full advantage of the favourable circumstances in which India is placed just now. We can then look forward to accelerated economic growth and employment. However, these favourable circumstances will not last forever. We must take advantage of them without dithering. The prime minister has a programme for almost every one of the items for action to be taken mentioned earlier. Many are being implemented. Sadly, politics has entered the scene. This Bharatiya Janata Party government has, on the whole, a poor quality of ministers. They rarely initiate action and follow through. Their experience in getting legislation through parliamentary committees and getting them voted for is limited. The prime minister is a great crowd-puller and orator. He is, however, poor in the real world of political exchange. He has to learn to create and interact with many networks of politicians from other parties. The prime minister has, for 18 months, treated the main Opposition party, the Congress, with arrogance and derision. He has now realized that he needs to pass legislation to get reforms through. He needs their support. Meanwhile, the principal but minuscule opposition, the Congress, after being electorally decimated has no vibrant leadership or ideas. What it has are its old shibboleths. Its strategy, exemplified by Rahul Gandhi, seems to be of preventing the BJP from getting any policies legislated that might give it electoral credit. Indeed, it is a policy of scorching the economy to prevent policies that would be of benefit to the the BJP and the country. The Congress plan would be to take the credit for cleaning up when it comes to power (it hopes) in 3 years. The spate of investigations and charges against Congress leaders in recent months was to be expected. But owing to its poor political common sense, like the Janata Party in 1977, the BJP's timing has been appalling. It needs the Congress to pass key legislation and its first three years should have focused on passing legislation for which it should have developed harmonious relationships. These accusations should have been pursued closer to the time of the next general elections. The only recourse now is for the BJP governments to frame legislation in a manner that the Congress can also take credit. The Congress must also be awakening to the unsympathetic media comments on its disruption of Parliament, especially after the court ordered the trial of the Gandhis. The Congress should subdue its hysterical responses. It is clear that the survival of the Gandhi family's power is a higher priority for the party leadership than the immediate good of the nation. The economy can move faster even without the Modi government passing new Central legislation. Friendly state legislatures can get Central approval for legislation on concurrent subjects and begin reform in those states (for example land law changes, labour law reforms). What will be left are the major items like the goods and services tax which need parliamentary approval and even changes in the Constitution. The economy will grow faster but not as much as it could have. The Congress will not gain. The BJP will and can point to the Congress preventing faster growth. The Congress must choose between scorching the economy, as the Gandhi family wants, and India's accelerated growth. Arvind Gupta (@buzzindelhi) is a Co-Founder of Digital India Foundation, Eisenhower Fellow for Innovation, currently heading the BJP’s Information and Technology Group. The views expressed are personal. #DigitalIndia has brought India’s marginalised populace to the centre stage in the newer domains of technology and financial innovation. India’s marginalised populace now appears to have assumed centre stage, even in the newer domains of technology and financial innovation. This is largely owed to #DigitalIndia’s vision of empowering a billion Indians, most of whom live in villages across the country and speak languages other than English. The real push has come from combining the newly-created Jan Dhan accounts, the Aadhaar identity infrastructure and the ubiquitous penetration of mobile phone technology. This new formidable vehicle for government reforms seems to have created new spheres of engagement for policy makers, the Reserve Bank of India, economists and technology innovators, all at once. At a recent discussion on Jan Dhan-Aadhaar-Mobile (JAM), participants spoke of the immense potential of these three pillars to render financial technology in the aid of the poor and excluded. The winning combination of JAM with Digital India has kick-started a major disruption in banking and payments like never before. With Digital India, the unveiling of the promised revolution of a less cash-oriented society, financial inclusion and a savings culture may finally be at hand. A society that relies less and less on cash-oriented transactions, certainly bodes well for the economy in the long run. To start with, a bank account for every household in this vast country is a means of pulling the financially excluded families into the mainstream. 99.7% of India’s households have already been granted access to banking accounts. This trend is only expected to grow with the regulatory innovation that has now unleashed 11 new payment banks to reach the people at the fringes of financial inclusion. 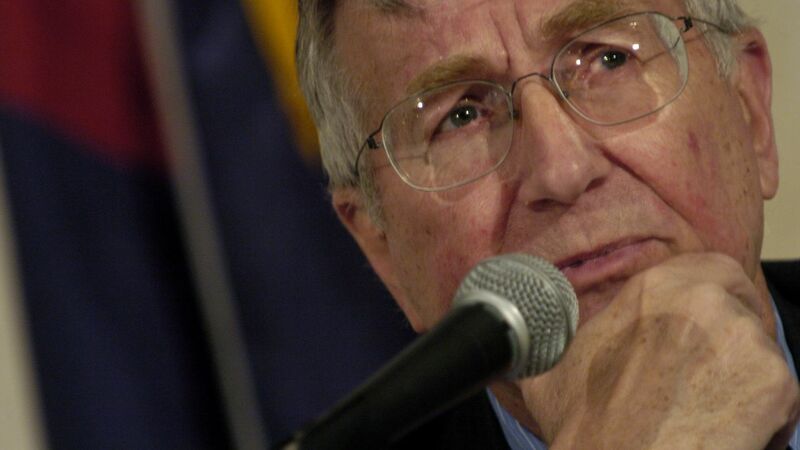 Seymour Hersh, an investigative journalist famous for uncovering the 1968 My Lai massacre and the mid-2000s Abu Ghraib scandal, says there's another scandal afoot, and it's bigger than anything he's previously reported. Perhaps even bigger than his story from this May alleging that the US staged its mission to kill Osama bin Laden. It is a fantastic and stunning claim. And Hersh, rather than condemning this all as what would appear to be the highest act of treason in modern American history, rather seems to portray it as necessary and appropriate. But, much as with Hersh's now-notorious bin Laden story, it is backed up with no evidence beyond the word of one anonymous "former senior adviser" to the Joint Chiefs. What follows is a simple guide to Hersh's theory: what he says happened, what the article states, and how it squares with what we know. Inside NATO’s Train, Advise and Assist Mission in Afghanistan. It only took the convoy of buff-clad armored trucks a few minutes to reach its destination. Past a two-story empty school building riddled with bullet holes from a complex Taliban attack that killed over 50 in early December, and beyond a now empty bazaar where the worst carnage occurred during the insurgents’ assault, the U.S. military advisors arrive at the Afghan military base after driving less than half a kilometer. The soldiers are dressed as if for a combat patrol, donning ballistics sunglasses, Kevlar helmets, tactical vests, and carrying assault rifles, side arms and ample ammunition. Even when walking inside the base along a small concrete pathway that leads to the headquarters of the 205th Corps of the Afghan National Army, the U.S. soldiers advance in tactical formation, their rifles at the ready, suspiciously eyeballing every Afghan passing them. With the ever present danger of “green on blue” attacks—Afghan soldiers opening fire on U.S. military personnel—the Americans are not taking any chances, even when shuttling between two bases within a relatively secure defense perimeter. One successful attack could set back their advising efforts for weeks, or even months, and help fuel the flames of those within the American political establishment who increasingly question the rationale behind the United States’ mission in Afghanistan after 14 years of war. Over the course of the 2016 presidential debate, the argument that “America vastly outspends China” will likely be used to discount any possibility of an emerging China threat. In fact, it is an argument with considerable statistical appeal. Consider that while China’s reported annual military expenditures are rapidly heading beyond $200 billion, the United States still spends more than three times that. Moreover, China’s military spending consumes only about 2 percent of its gross domestic product annually while the U.S. number is closer to 4 percent. This “America outspends China” argument, must, however be tempered by several considerations. For starters, while America projects its force globally, China focuses regionally. Because of these different missions alone, any direct comparison of total military expenditures is highly misleading. To put this in a weapons context, American taxpayers may foot the bill for ten active aircraft carriers. However, only several of these flattops are ever on patrol in the Asian theater at any one time. As a further consideration, one dollar of Chinese defense spending goes much farther than a like U.S. dollar for at least two reasons: Chinese military personnel earn wages and benefits far less than their American counterparts. It is also demonstrably cheaper for China’s sweat shops to churn out weapons systems. As a further boost to China’s weapons cost advantage, China’s military does not have to spend anywhere near as much on research and development. One key reason: The vaunted ability of Chinese hackers to steal America’s latest weapons. Another reason: The equally vaunted ability of China’s scientists to reverse-engineer the foreign weapons systems China buys. HO CHI MINH CITY – Since late 2013, China has been engaged in the frenzied creation of artificial islands and the militarization of the South China Sea. This amounts to an alarming quest for control over a strategically crucial corridor through which $5.3 trillion in trade flows each year. But what is even more shocking – not to mention dangerous – is that China has incurred no international costs for its behavior. Of course, the international community has a lot on its plate nowadays, not least a massive refugee crisis fueled by chaos in the Middle East. But the reality is that, as long as China feels free to maneuver without consequence, it will continue to do so, fueling tensions with its neighbors that could easily turn into all-out conflict, derailing Asia’s rise. A key component of China’s strategy in the South China Sea is the dredging of low-tide elevations to make small islands, including in areas that, as China’s deputy foreign minister for Asian affairs, Liu Zhenmin, recently acknowledged, “are far from the Chinese mainland.” In China’s view, that distance makes it “necessary” to build “military facilities” on the islands. And, indeed, three of the seven newly constructed islets include airfields, from which Chinese warplanes could challenge the US Navy’s ability to operate unhindered in the region. By militarizing the South China Sea, China is seeking to establish a de facto Air Defense Identification Zone like the one that it formally – and unilaterally – declared in 2013 in the East China Sea, where it claims islands that it does not control. China knows that, under international law, its claim to sovereignty over virtually all of the resource-endowed South China Sea, based on an “historic right,” is weak; that is why it has opposed international adjudication. Instead, it is trying to secure “effective control” – which, under international law, enhances significantly the legitimacy of a country’s territorial claim – just as it has done in the Himalayas and elsewhere. But China’s ambitions extend beyond the South China Sea: It aims to create a strongly Sino-centric Asia. Thus, the country recently established its first overseas military base – a naval hub in Djibouti, on the Horn of Africa – and it has repeatedly sent submarines into the Indian Ocean. Moreover, China is engaging in far-reaching economic projects – such as the “One Belt, One Road” initiative, which entails the construction of infrastructure linking Asia to Europe – that will strengthen its presence in, and influence over, a number of countries, thereby recasting regional geopolitics in its image. What if the Kuomingtang Had Won the Chinese Civil War? This is the first in a four-part mini-series of articles focused on key counterfactuals in the Asia-Pacific. One often underestimated but immensely popular form is the “What if?” form, or counterfactual history. Often derided as mere fiction, or in the words of the historian and international relations scholar E.H. Carr “mere parlor games,” plausible counterfactual history can in fact be very useful. It can be a tool to enhance the understanding of history and make it come alive. It can reveal, often in stark detail, how the world could, or even should, be. History is the literature of what has happened; counterfactuals can lead to the questioning of long-held assumptions. A great place to start reading contrafactual history is the Collected What If?, edited by Robert Cowley. It includes over 20 essays written by authors like John Keegan, Stephen E. Ambrose, and Caleb Carr. This is the first of the the Diplomat’s four holiday counterfactual articles which will be presented over the next few weeks. 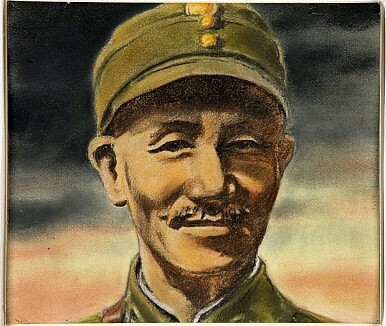 What if Chiang Kai-shek and the Kuomingtang had won the Chinese Civil War? Is Anyone Willing To Take On The Perversion of Islam Caused By The Wahhabi-Saudi Combine? For over a thousand years, the Harmain (holy places) had been inclusive of all Muslims, with shrines for the Shia and other Islamic sects. However, this eclecticism and pluralism was an anathema to the Wahhabis, and they were committed to its eradication. On 13 November 2015, a series of coordinated militant attacks in Paris shook the world. The attacks, reportedly the deadliest in France since the Second World War, followed soon after many European countries had opened their doors to the traumatised and homeless refugees from Syria and Iraq, many of whom are Muslims. Although many nations in the European Union expressed discomfort with the decision, this was largely seen as a great humanitarian gesture on the part of the EU. Some even saw it as an expression of guilt for the West’s violent involvement in the ongoing conflicts for decades. Over the last month, countries such as the United States of America and Canada announced that they would be joining the European nations in granting asylum to refugees. However, the path forward is unclear. Two fronts require serious action. The first and foremost challenge is the one that faces not only Muslim nations but all Muslims: to unambiguously confront the custodians of the Islamic faith, who have hijacked the narrative of Islam. The second is that in order to decimate the threat of Islamic fundamentalism, the West must shelve their strategic and economic interests in west Asia. Islamic faith, as it stands now, has been vandalised. The vandals of the faith are the same custodians of the holy places of Islam who ganged up with the fundamentalist Sunni Muslim preacher Abdul Wahhab almost two hundred years ago. Wahhab believed that Islam should be returned to the original principles that were followed by the first three generations of Muslims, and rejected many common practices that the faith had come to include over time. The Ottomans, who controlled the region then, may be answerable for the many atrocities they committed during their rule, but the Islam they professed and propagated was based on the traditional heterodox Bektashi Sufi thinking, a dervish order of Islam. Their outlook was loose, and was accommodative of diverse local cultural practices. It is still practiced and venerated in the regions of the Balkans and the erstwhile Russian states in central Asia. The battle between the subsequent Wahhabi-Saudi combine and the Ottomans was not merely a fight for territorial control, but also a fight to save traditional Islam from the depredations of the combine. The defaced Islam peddled by the Islamic State and other fundamentalists today originated two hundred years ago, and mayhem and mass murders are the ugliest manifestations of this corruption. Defeating ISIS is just such a problem. Some problems don't get solved because those who have the will don't have the way — and those who have the way don't have the will. The West — especially after Paris and San Bernardino — has the will, but has no way. The Middle East has the way, but not the will. Nothing makes these dual points more obvious than recent GOP bloviating and the bogus anti-terrorism military alliance of 30-plus Muslim countries that Saudi Arabia spearheaded earlier this month. If will alone could defeat ISIS, then sending a fighting force of a dozen or so Republican presidential candidates (with the exception of Rand Paul) might do the job all by itself, at least judging by all the saber rattling they did on the debate stage last week. Then again, the GOP candidates managed to offer two different strategies to deal with ISIS — neither of which will work. The other suggestion, floated by Lindsey Graham, an unrepentant neocon (who is nevertheless endearing for his unequaled ability to land a punch on Trump), involves contributing 10,000 U.S. ground troops as part of a regional army. Marco Rubio and others have endorsed variations of this idea, and it is enjoying renewed support among the American people in the wake of the San Bernardino attack. But it's unclear that such resolve would endure much past the first videotaped beheading or burning of a captured American soldier. Indeed, the twin lessons of Iraq and Afghanistan are that even deep domestic support tends to peter out in a long, protracted war. There is little reason to think that obliterating ISIS would be a quick in-and-out job. The emergence of jihadists known to be searching for nuclear and radiological (NR) material has lent a tone of urgency to the debate about ways to prevent nuclear terrorism. At the same time, the supply side of the equation has grown from inchoate attempts at smuggling to a more organized market in NR material. This combination of factors has arguably increased the probability of spectacular attack in the not so distant future. The reason for this assessment is based on a straightforward calculation: a nuclear or radiological device is the ultimate force multiplier and a NR attack is considered “spectacular” enough for jihadists to fulfill their divine mission. Producing nuclear weapons, including the required materials – plutonium and uranium – is beyond the skills of terrorist groups. The level of skills needed for the fabrication of a sophisticated weapon are judged to pose a barrier for terrorists. However, terrorists may seek to weaponize radiological materials in other ways. Though there is a large selection of radioactive isotopes, only a few are good candidates for terrorism: cobalt-60, strontium-90, yttrium-90, cesium-137, iridium-192, radium-226 and plutonium-238. Two types of radiological attack are possible. First, the Simple Radiological Device (SRD) involves placing a radioactive material in a public place to create an aerosol or burning it to trigger vaporization. Second, a “dirty bomb” uses conventional explosives to disperse radiological material. Two events last week show the direction where Poland is moving. On Dec. 15, during a visit to Kiev, Polish President Andrzej Duda promised financial, political and energy support for Ukraine. A few days later, on Dec. 19, people in Warsaw and other Polish cities protested the government's controversial appointment of five new judges to the Constitutional Court - the second protest over the issue in two weeks. These two events, though seemingly unrelated, suggest the beginning of a new political phase in the country that will be felt across Europe. After eight years under a business-friendly and pro-EU government, the Poles voted for a nationalist administration in a general election in October. Voters were exhausted with an establishment in power for almost a decade. Some also believed the benefits of EU integration and economic liberalization were not equally distributed among the population. The newly elected Law and Justice party ran on a promise of lowering the pension age, reducing taxes for small and medium-sized businesses, increasing family benefits, raising taxes on banks and foreign-owned supermarkets, and cutting the country's reliance on foreign capital. The party also has a skeptical view of the European Union and believes Poland should protect its national sovereignty and remain outside of the eurozone. The Army is preparing for the planning and construction of the Fort Gordon, Georgia, headquarters that will house Army Cyber Command and the service's Joint Forces Headquarters. According to a notice posted Dec. 18 on the federal government's primary acquisition site, FedBizOpps.gov, the project will start with fiscal 2016 as the base year of the contract expected, then fiscal 2017 as an option year. The site notes that under a two-step bidding process, "step 1 solicitation on or about 3 February 2016 and approximate closing date for Step 1 is on or about 4 March 2016. The approximate issue date for the Step 2 solicitation is on or about 27 May 2016 and the approximate closing date for Step 2 is on or about 27 June 2016." The entire facility will be constructed as a Secure Compartmented Information Facility (SCIF) and be divided into further security zones, and will have redundant and backup electrical, mechanical and security systems. Army Cyber Command is in the process of transitioning to Fort Gordon, which already is home to the Army Cyber Center of Excellence, the Army Cyber School as well as the 7th Signal Command. Also onsite are the National Security Agency's local facilities. Beyond that, the "Cyber Center of Excellence, really for the first time, brings together Army Signal Operations, Army Cyber Operations, and Army Electronic Warfare Operations underneath one umbrella," MG Stephen Fogarty, commander of the Army Cyber Center of Excellence and Fort Gordon, told reporters in October. "So what that allows us to do is make sure that we deliver a much more holistic capability to support Unified Land Operations than the Army had previously. We are at our initial operating capability now and we think over the next three to five years, we'll attain full operations capability." Beyond the targeting of civil nuclear power plants. In June 2015, the United States published its first ever “Department of Defense Law of War Manual,” with a separate chapter on “Cyber Operations” and several other innovations compared with preexisting single service law manuals in various versions for over a century. Certain facilities containing dangerous forces, such as dams, nuclear power plants, or facilities producing weapons of mass destruction, may constitute military objectives. There may be a number of reasons for their attack, such as denial of electric power to military sources, use of a dangerous facility (e.g., by causing release from a dam) to damage or destroy other military objectives, or to pre-empt enemy release of the dangerous forces to hamper the movement or advance of U.S. or allied forces. IRANIAN HACKERS INFILTRATED NEW YORK DAM IN 2013; WHAT WOULD IT REALLY TAKE TO KNOCK OUT THE U.S. POWER GRID? The Wall Street Journal is reporting this morning (December 21, 2015) that “Iranian hackers gained access to the control system of a small dam less than 20 miles from New York City in 2013. The breach came amid attacks by hackers linked to Iran’s government against the websites of U.S. banks; and, just a few years after American spies had damaged an Iranian nuclear facility with a sophisticated computer worm called Stuxnet,” Mr. Danny Yardon writes. Mr. Yardon did not caveat that last assertion that “American spies had damaged an Iranian nuclear facility.” While it is widely believed the U.S, and Israel were responsible for carrying out a joint cyber attack against Iran’s nuclear facility at Natanz; neither government has either officially acknowledged its alleged role. Having said that, Tehran no doubt believes the U.S. and Israel were responsible. New America polled former Navy SEALs, Pentagon officials, technologists, historians — and here’s what they expect. Imagine you had a time machine that could take you back to compare what people thought would happen in 2015 with what actually did occur. Some of the events of the last year, like the Syrian rebel training programs falling apart, were utterly predictable. Others were deeply surprising; the scale of theOPM breach left U.S. cybersecurity experts, and also likely the attackers themselves, agape at the massive harvest of data. Still other events, such as Russia’s doubling down in Syria, were in fact predictable, yet surprising to too many. And, finally, other events, like the formal admission of women into combat roles, were not merely predictable, but belated. If we had that time machine, though, we’d want to jump ahead, to see what lies in the future. The problem is that while we do have hoverboards that work in labs and as Christmas presents that catch on fire, the time machine that Hollywood promised us on Oct. 15 hasn’t yet arrived. Let’s hope the good-news predictions are the ones that come true, and the bad-news ones merely prove the experts wrong. The combination of American presidential campaign politics; increased terror attacks in the EU, U.S., Russia, and China; and forced coexistence in battle spaces such as Syria will generate an increased appearance of collaboration among the European Union, United States, Russia, and China. Such collaboration will, however, be exceedingly fragile and difficult to maintain. Especially between the United States, and both Russia and China, it will represent more of a change in tone: the structural conflict between a rising China and the U.S., and the fundamental differences in worldview and interests between the U.S. and Russia, are too deep for anything else. Moreover, it will not last past the exigencies that require it. Nonetheless, the veneer of civility and collaboration will create an opportunity to encourage and institutionalize deeper communication among the world’s major militaries, which will be seized, and will prove to be one of the few bright spots in an increasingly complex environment of global conflict. But such increased collaboration might also generate significant costs: consider what such a collaboration among nation-states might well look like from an Islamic perspective, especially given the rhetoric of the American presidential campaign to date and the inherent tendency of militant Islam to reject secular authorities (cue Clash of Civilizations). Whether or not we are officially at war with ISIS is a reoccurring debate in today’s mass media. Part of what makes this question so compelling is that the concept of war, and how it’s fought, has dramatically changed since the end of the Cold War. Take, for example, the evolving nature of “the enemy.” During the Cold War, the clear black-and-white, democracy-versus-communism world order enabled the U.S. to have one primary enemy—the Soviet Union. No matter the theater of operation or the uncertainty propping up the world order, a nuclear missile directed toward Moscow would deter any major attack on the homeland. Not to be too nostalgic for the days of duck-and-cover drills, but today’s strategic landscape is arguably more challenging because adversaries appear in different forms and on different continents. The traditional image of one or several state enemies still remains, but it is now accompanied by an increasing number of non-state actor threats with undefined borders and overt displays of violence—all of which demonstrates that we are not playing by the same rules, or even the same game. The emergence of new warfare domains, such as cyber, and hybrid warfare also pose new challenges for the Armed Forces, requiring specialized skill sets and equipment. Due to the slow pace of the U.S. government’s acquisition process, it is extremely difficult for federal agencies to stay ahead of malicious hackers. Cyber and hybrid warfare capabilities can change far more quickly than the military can adapt. At the same time, these new domains represent new areas of vulnerability for adversaries and potential avenues for the U.S. to pursue its policy goals internationally. These new domains of warfare have arisen due to the opportunities and challenges presented by the rapid pace of recent technological innovation. The capabilities allowed by modern technologies– global precision strike, unmanned weapons platforms, encrypted communications systems, and more – are becoming cheaper and more widely available than ever before. As a result, the technological edge that the U.S. has enjoyed over virtually all adversaries since the end of the Cold War has been eroding, as rising powers develop systems to match or counter U.S. capabilities. This has created a wide array of new strategic competitions, and the outcomes of those competitions are far from certain. Already new warfare domains are emerging, as Pentagon officials draft a new policy that would recognize the electromagnetic spectrum as a domain of warfare, along with air, space, land, sea, and cyber. A new report details what aircraft features will be the most valuble in the dogfights of the future. What can be seen can be destroyed, is an old battlefield proverb. And in the dogfight of the future, victory will go not to the swiftest jet, but the one with the best sensors. That's where air combat is headed, according to a new study by the Center for Strategic and Budgetary Assessments. And if that forecast is correct, then this is good news for the beleaguered F-35, which has been criticized for mediocre flying performance, but whose stealth and sensors may allow it to ambush Chinese and Russian aircraft. "This transformation may be steadily reducing the utility of some attributes traditionally asso­ciated with fighter aircraft (e.g., extreme speed and maneuverability) while increasing the value of attributes not usually associated with fighter aircraft (e.g., sensor and weapon payload as well as range)," concludes the study, written by CBSA researcher and former U.S. Air Force officer John Stillion. That conclusion was based on a study of trends in air combat dating back to World War I, and which included a CSBA database of 1,467 reported (though probably not actual) aerial victories since 1965. From 1914 to 1965, the primary air-to-air sensor was the Mark I eyeball, and the primary air-to-air weapon was the machine gun or cannon. "The physical limitations of human vision give it a relatively short effective range as an air-to-air sensor of about 2 nauti­cal miles," the study notes, while machine guns and cannon required closing to within 50 to 500 meters of the target. Thus air combat was essentially a contest of situational awareness, with victory going to who spotted the enemy first, and many victims never seeing who shot them down. In other words, the most successful tactic was the aerial ambush.